Coming up from the ground fast our project in Warrandyte, VIC is beginning to take shape. Now that the slab is in place you can get a good sense of the views there’ll have from their hillside vantage point. 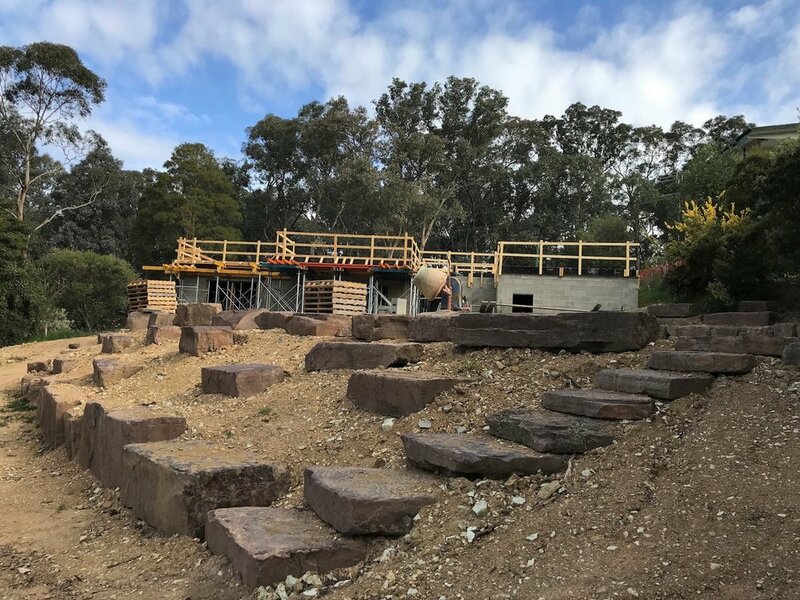 The landscaping is also taking shape, inspired by the surrounding environment, boulders are already in place to create a natural landscape. Keep an eye out for the next Warrandyte update when our panels should be going up.